Putin started his third term by ordering an Arctic naval boost. The President got what he wanted. Just a few hours after sworn in as President for the third time in 2012, Vladimir Putin ordered the government to ensure the development of the navy, primarily in Russia’s Arctic zone and in the Far East. Protect the country’s strategic interest, the decree said. The order also highlighted priority to develop nuclear deterrence and electronic warfare. Since then, vessels from Russia’s Northern Fleet have sailed like never before in Post- Soviet times. In a longer interview with military newspaper Krasnaya Zvezda (Red Star), Commander-in-Chief of the navy, Admiral Vladimir Korolyov, reveals the activity. “Speaking about the navy’s surface vessels, I can tell the following. In 2013, it was 5,900 days [of sailings]. In 2014, already 12,700, in 2015 – 14,200, in 2016 – 15,600, and in 2017 - 17,100 days,” the Admiral says. In other words, Russia’s surface warships have been sailing nearly three times more this year than they did five years ago. Russian naval vessels are also back sailing the world’s oceans, including advanced deployments by all four fleets in the Mediterranean. Admiral Korolyov points to successful operations with inter-fleet interactions earlier this year. The Northern Fleet, based on the Kola Peninsula, is the largest of Russia’s four fleets that also includes the Pacific, Baltic and Black Sea fleets. The 2016-2017 deployment of aircraft carrier “Admiral Kuznetsov” and heavy missile cruiser “Pyotr Velikiy” outside the coast of Syria is also first time vessels from the Northern Fleet have been in real combat. 420 sorties were carried out from “Admiral Kuznetsov” agains rebels in Syria, according to Vladimir Korolyov. 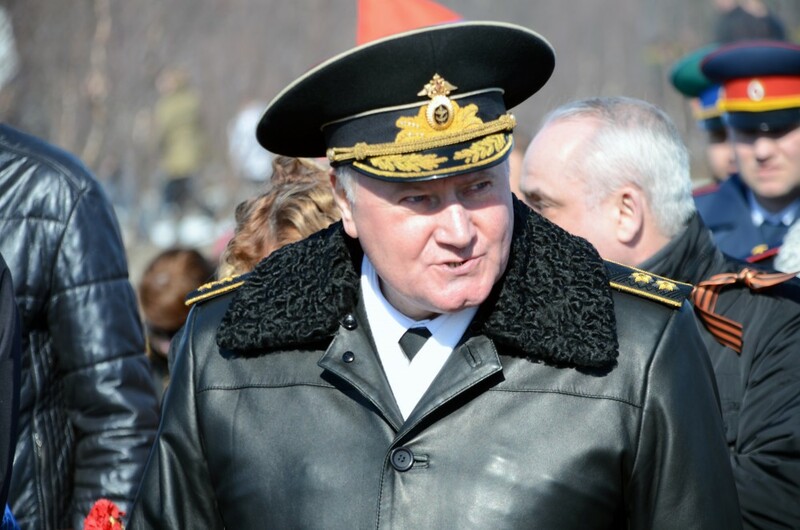 Before becoming Commander-in-Chief of the Russian Navy, Vladimir Korolyov was Commander of the Northern Fleet. Experiences with shooting of advanced high-precision weapons by the warships and submarines against targets in Syria are now being analysed and the results are included in training programs at naval educational institutions the commanding Admiral tells. The build-up and number of exercises are especially visible in Barents Sea and along Russia’s Northern Sea Route. In addition to larger, more complex and frequent exercises, the Barents Sea also serves as an area for testing of other fleet’s vessels and weapons. Admiral Korolyov underscores the importance of the new Northern Command, which he describes as “an effective tool to guarantee the security of Russia’s interests in the Arctic zone.” Now, the military task is to make the Northern Command more effective and self-sufficient. New vessels are coming, like the navy icebreaker “Ilya Muromets” currently under testing but arriving to the Northern Fleet by year-end. The first frigates of the Admiral Gorshkov class will soon be based in Severomorsk, the Northern Fleet’s main base north of Murmansk. 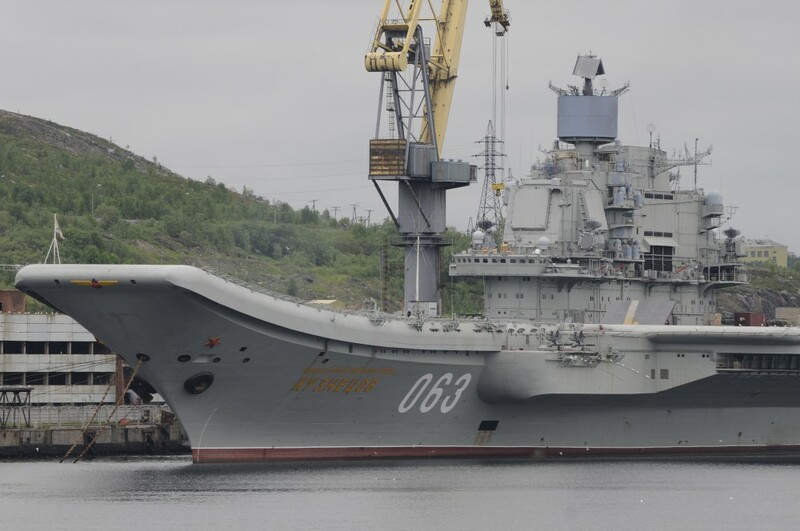 Also, the navy’s two largest warships, “Admiral Kuznetsov” and “Pyotr Velikiy” will be modernized. Another nuclear-powered missile cruiser, “Admiral Nakhimov” is currently under repair and modernization at the yard in Severodvinsk and navy Commander Korolyov assures the vessel will be completed and ready for mission. “In the near future at Sevmash yard in Severodvinsk the next nuclear missile cruiser “Knyaz Vladimir” will be floated out from the dock-house,” Korolyov says in the interview with Krasnaya Zvezda. When commissioned, the submarine will carry 16 Bulava ballistic missiles.